If you know anything about keto, then you are aware that chicken wings are one of the go-to options of the ketogenic diet. 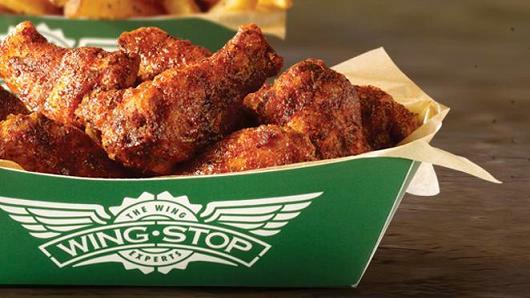 Wingstop is a popular chain restaurant. Here are some Wingstop keto options. We’ll wade through the menu for you and pick out the best choices. We’ll tell you what is safe and what you should avoid. There’s always that sneaky thing on the menu that you think is safe, but it is actually loaded with carbs. Alright, guess what we’re going to start with? Chicken wings! On their nutritional guide on their site, they give you the nutritional information per 10 wings, because who the heck eats two wings? A small child? Odds are not many small children are on keto. So first we’re going to go through all of the wings that are 10 g of net carbs or less per 10 wings. Now there are boneless wings and crispy tenders. Obviously those are not an option. The lowest amount is if you eat two plain boneless wings it’s 13 net carbs or two plan tenders it’s 15 net carbs. That doesn’t cut it. Now when it comes to sides. You have two options for sides. No honey mustard and no cheese sauce! Well, there you go. Now you’re ready to take on Wingstop and maintain ketosis.